* Black Finish Externally adjustable Mustang shocks from Strange Engineering are designed to fit original-equipment applications, as well as most coil-over kits. 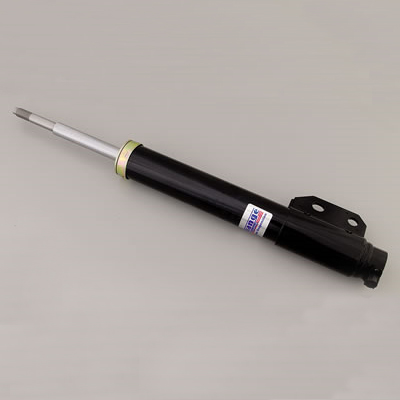 These shocks are ideal for street/strip applications. They feature 10 performance-adjusting rebound settings, which are easily changed via an externally mounted adjuster. This allows you to make quick, easy tweaks to control your ride firmness and comfort level. Quality Construction: No one else gives you the bold clean styling of our Aftermarket Dress Ups, Suspension and Performance Parts for your American Muscle Car like UPR Products! Installs in 30 minutes or less. Click Here for Instructions Fits these Vehicles: 1994 1995 1996 1997 1998 1999 2000 2001 2002 2003 2004 V8 GT GTS Cobra Mustang Roush & Saleen Vehicles.